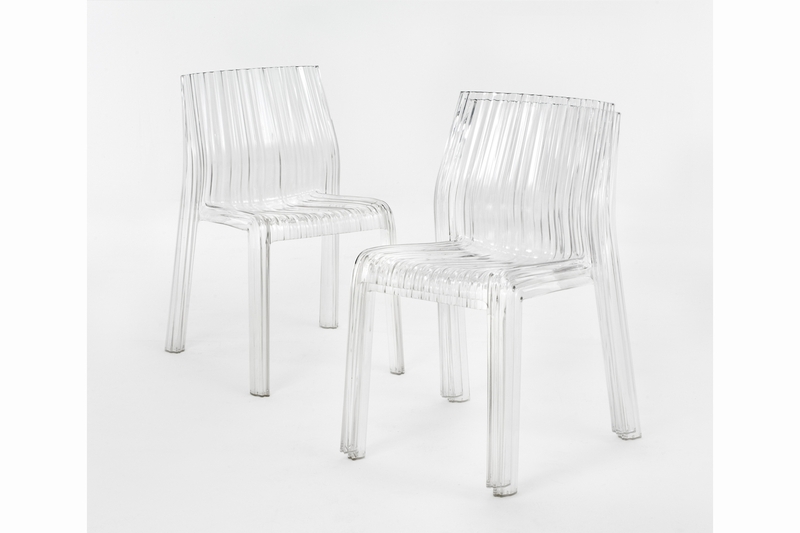 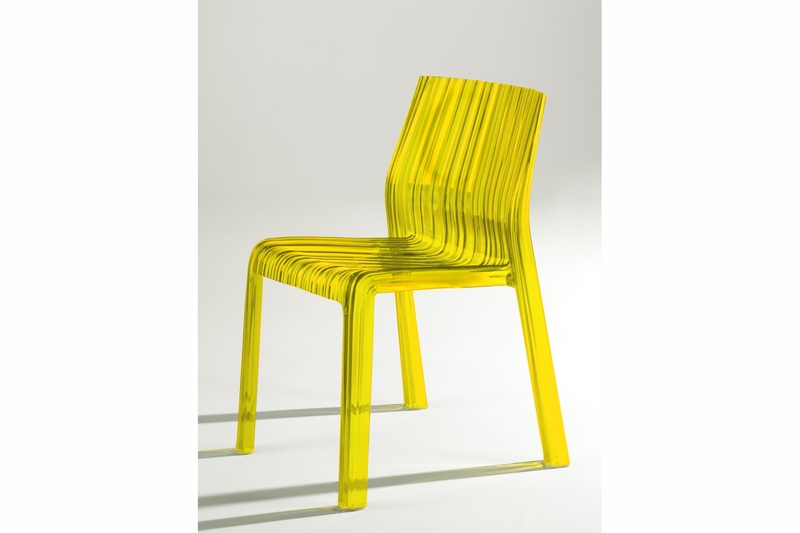 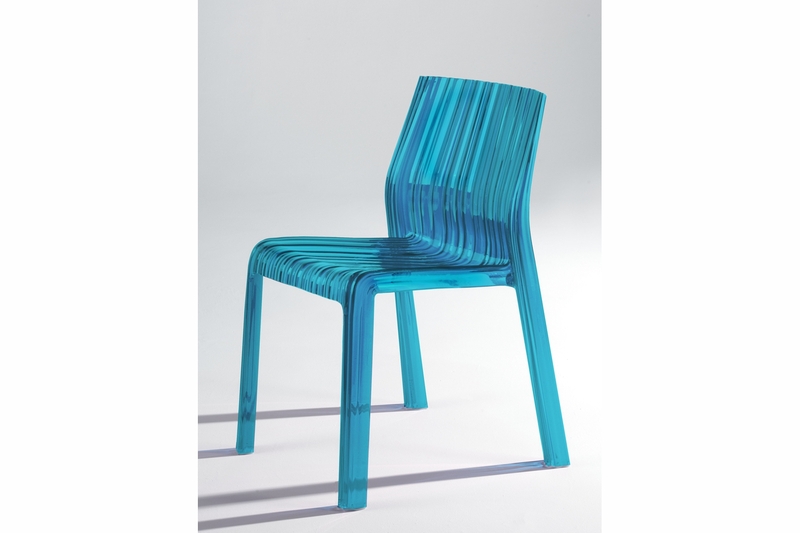 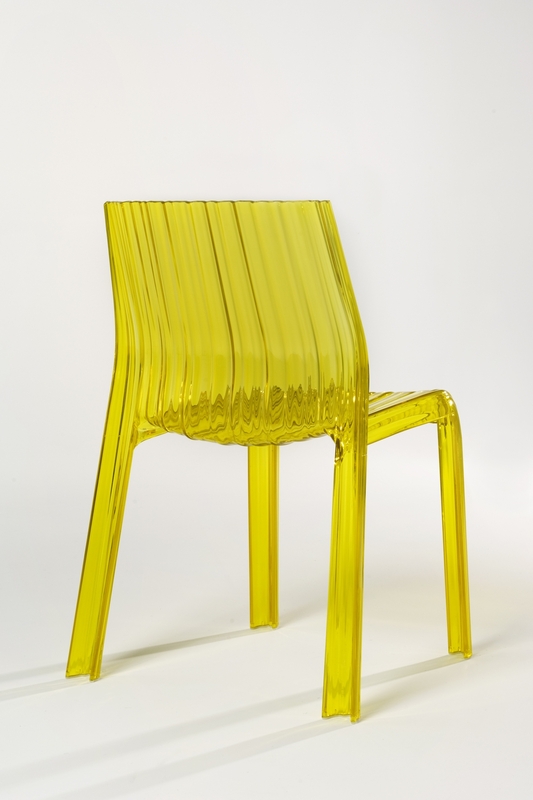 Frilly, Patricia Urqiolaâ€™s new transparent polycarbonate chair for Kartell, was born from the idea of an industrial sculpture transformed into a charming ergonomic shape. 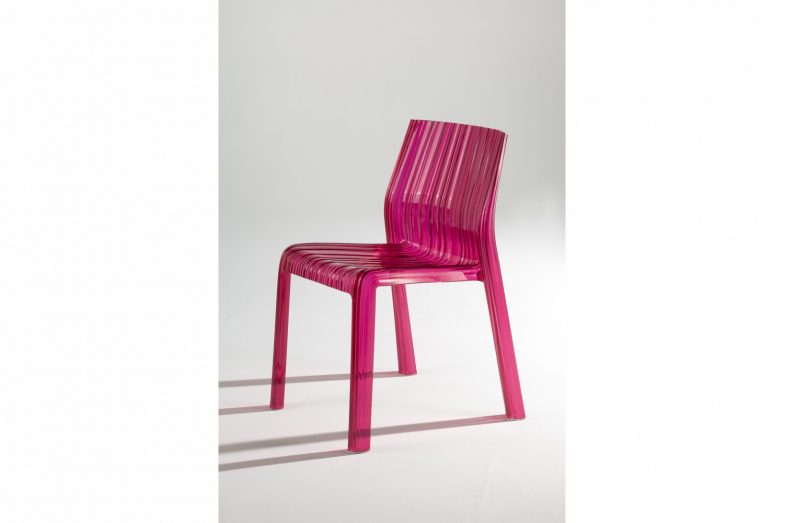 The wavy effect covering the entire structure gives this chair a light and soft look, like pleated fabric, for a sensual, fun and feminine optical effect. The wide range of colours is reminiscent of natural elements, giving the chair a further light and lovely touch.